NEW DELHI (Reuters) – A hotel that caught fire in the Indian capital on Tuesday, killing 17 people, passed safety checks 14 months ago, but an investigation has revealed breaches of regulations, such as faulty alarms, prompting a mass reinspection of other hotels. Poorly enforced regulations lead to thousands of deaths in fires across India every year and officials in New Delhi say an overstretched fire service is hampering safety efforts. The Hotel Arpit Palace passed a fire safety check in December 2017, but a copy of the initial police investigation seen by Reuters showed several breaches of fire regulations, including a lack of signs to guide guests to exits and fire alarms that did not work. Delhi’s fire service, which is responsible for safety inspections as well as fighting fires, is now reviewing certificates issued to more than 1,500 hotels in one of India’s tourist hubs, a senior fire official told Reuters. But stretched resources mean the re-inspection process could take months. The city has around 1,700 firefighters, he said, which is less than an eighth of the number in New York, a city with less than half of Delhi’s population. The fire is believed to have begun on the hotel’s first floor, spreading quickly through wood-panelled corridors, police say. Among the dead were members of a wedding party from Kerala and a two Buddhist pilgrims from Myanmar. “From the outside, the building looked intact, but inside everything was completely charred,” a police officer told Reuters. Two of the 17 died after jumping out of windows in desperation after failing to find emergency exits, added the officer, who declined to be named as he is not authorised to talk to the media. “Fire preparedness is a matter of shockingly low priority in most parts of the country,” said an editorial in the Indian Express, one of the country’s leading newspapers. A 2018 study by India’s home ministry that found the country had just 2,000 of more than 8,500 fire stations it needs. More than 17,000 people died in fires in 2015, according to data from the ministry, the last year for which figures are available, one of the largest causes of accidental death in India. Fire safety is an issue for shanty towns and some of the country’s most expensive real estate. A day after the Arpit Palace disaster, more than 250 makeshift homes were destroyed in a slum in Paschim Puri, a poor area of New Delhi, though no one was killed. In 2017, 14 people were killed during a birthday party at a high-end bar in India’s financial capital Mumbai. In several upscale neighbourhoods in Delhi, police shut hundreds of shops and restaurants last year for trading on floors meant for residential use, though many continue to operate illegally, residents say. By the boarded-up Arpit Palace in the Karol Bagh area of New Delhi, wires from adjacent hotels still trail across the street, though staff there told Reuters they were complying with fire regulations. Adding to the safety problems, poorly paid staff in the hotel and restaurant industries are often unable to help guests when fires break out, Kental said. “They are not trained. They don’t know what to do in the event of a fire,” he said. SHANGHAI (Reuters) – China’s population is set to reach a peak of 1.442 billion in 2029 and start a long period of “unstoppable” decline in 2030, government scholars said in a research report published on Friday. “From a theoretical point of view, the long-term population decline, especially when it is accompanied by a continuously ageing population, is bound to cause very unfavourable social and economic consequences,” it said. India has overtaken China and become the world’s most populous country, according to an academic who believes that Beijing has overestimated the number of its citizens by as much as 90 million. 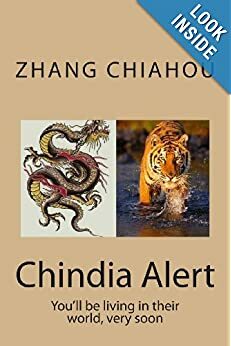 With none of the infamous birth control policies that China enforced for decades, India had been expected to become No 1 in the next five to ten years. However, Yi Fuxian, a researcher and critic of China’s one-child policy, says that the Chinese authorities have greatly overstated the country’s real fertility rate since 1990. At a conference in Beijing, Mr Yi concluded that China was home to 1.29 billion people at the end of last year, not the 1.38 billion that is Beijing’s official estimate.Mr Yi’s calculations would put China’s population lower than that of India, whose government estimates that the Indian population is 1.33 billion. Yesterday China’s “ministry of births”, the national health and family planning commission, rejected his claims. “Some people ignored the birth population data issued by the state statistics bureau after revision, make no analysis on the raw data of population census and random surveys, directly gathered, and believe 2015’s total fertility rate is 1.05,” the commission said. “This is completely not in accordance with the real situation.” It said the 2016 fertility rate — births per woman — was 1.7. Mr Yi, a scientist at the University of Wisconsin-Madison, whose book Big Country with an Empty Nest was published in Hong Kong and banned on the mainland, said that the government’s denial came as no surprise. “I am confident in my research,” he told The Times. If the public knew the true numbers then they and policymakers would have stopped the policies and the commission would have been closed years ago, he added. He called on China to abolish all restrictions rather than just allowing two children per family, a reform introduced last year. Its one-child policy was introduced in 1979 and was phased out gradually. There were many exceptions: ethnic minorities were exempt and some families could have a second child if the first was a girl. The title of the world’s most populous nation probably remains with China for the time being, according to other experts. He Yafu, an independent demographer in Guangdong province, said China’s official population statistics probably are inflated “but it’s impossible to be that much [90 million]”.“China’s population must have exceeded 1.3 billion but is less than 1.4 billion. Figures from social insurance and other areas can also prove that it’s definitely more than 1.3 billion,” Mr He said. 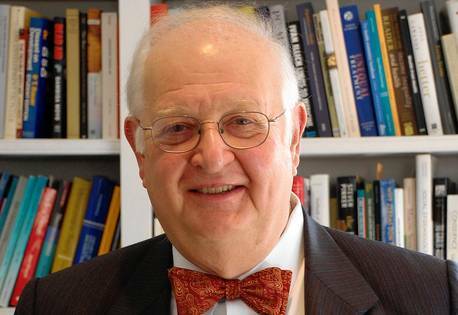 Angus Deaton, the economist who won a Nobel Prize this week, has spent much of his career trying to measure poverty and progress in India and China. He won the Royal Swedish Academy of Sciences award in economics by devising systems to understand consumption and poverty using household surveys and number crunching. “Deaton’s focus on household surveys has helped transform development economics from a theoretical field based on aggregate data to an empirical field based on detailed individual data,” the academy said. His decadeslong deep dive into data on the poor, their spending habits and their health gave him a surprisingly upbeat assessment of human progress, largely owed to the great strides that have been made in China and India. His book, “The Great Escape: Health, Wealth, and the Origins of Inequality,” documented why the world is a better place to live than it used to be. A recent World Bank report suggested that more than one billion people might have been lifted out of extreme poverty already this century. Most of that progress was in China and India. Here are a few of the things Mr. Deaton said in his book about the massive shifts in China and India that are changing the world. Researchers at Abbott Laboratories in Shanghai are busy testing flavors of nutritional drinks for China’s senior citizens. Kimberly-Clark Corp. has launched television ads for its Depend adult diapers and expanded distribution online. Local e-commerce companies like Alibaba Group Holding Ltd. and JD.com Inc. are rolling out senior-focused marketing pushes. The companies are after the growing ranks of people born during a Mao Zedong-inspired baby boom that took the country’s population to nearly one billion people in 1980 from 542,000 in 1949. 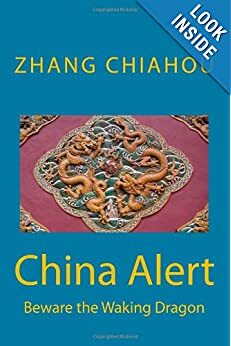 China’s birthrate dropped sharply during the 1970s and 1980s as the government reversed course and implemented a one-child policy. The boomers are now hitting old age: China’s over-65 population is projected to soar to 210 million in 2030 from 110 million, and by 2050 will account for a quarter of China’s total population, according to United Nations data. By then, the U.N. says, China’s elderly population may exceed the entire U.S. population. “What has us interested…is that half a billion people over the age of 60 will be living in China over the next 35 years,” said Scott White, president of Abbott’s international nutrition division. via Tapping China’s ‘Silver Hair Industry’ – China Real Time Report – WSJ. China will speed up the exploration of immigration policies this year to attract skilled foreign workers, a senior official said on Thursday. However, Zhang Jianguo, head of the State Administration of Foreign Experts Affairs, did not give details on when the policies will be introduced. Experts said Zhang\’s remarks show that China may, for the first time, single out skilled workers as a special category in its general immigration polices, as the country faces a shortage of such workers. Wang Huiyao, director of the Center for China and Globalization, said the government urgently needs to revise its immigration policies to attract more highly skilled foreigners. \”China\’s population is aging quickly and we also need more skilled workers for our economic upgrading,\” he said. China needs to loosen its immigration policies, including giving citizenship to skilled foreign nationals, he added. Such immigration policies are common in Western countries, which roll out favorable measures for the skilled foreign workers they lack. China has experienced a talent \”deficit\” for years. In 2012 alone, more than 148,000 Chinese obtained overseas citizenship, while just 1,202 expatriates were granted permanent residency in China, according to a report by Wang\’s center on Wednesday. China usually grants its version of green cards to foreigners in certain categories: Businessmen who have invested at least $500,000 in the country; technical personnel such as managers; people with skills \”needed by the State\” and spouses of Chinese nationals, providing their marriage has lasted at least five years and they have lived in China for at least nine months in each of those years. via Global hunt for top skills accelerates – Chinadaily.com.cn. College students in China\’s restive western Xinjiang region will not graduate unless their political views are approved, a university official said, as the country wages what school administrators called an ideological war against separatism. Xinjiang is home to the Muslim Uighur ethnic group, many of whom resent controls imposed by Beijing and an inflow of Han Chinese migrants. Some Uighur groups are campaigning for an independent homeland for their people. University officials from Xinjiang said their institutions were a frontline in a \”life and death struggle\” for the people\’s hearts and a main front in the battle against separatism, the ruling Communist Party\’s official newspaper in the region, the Xinjiang Daily, reported on Tuesday. \”Students whose political qualifications are not up to par must absolutely not graduate, even if their professional course work is excellent,\” said Xu Yuanzhi, the party secretary at Kashgar Teachers College in southern Xinjiang, which has been an epicenter for ethnic unrest. It is unclear if such a policy has been officially implemented throughout the region. \”Ideology is a battlefield without gun smoke,\” Xinjiang Normal University President Weili Balati said. \”As university leaders, we have the responsibility to do more to help students and teachers properly understand and treat religion, ethnicity and culture and help them distinguish between right and wrong,\” he said. China blamed the East Turkestan Islamic Movement (ETIM) for an attack on October 28, when a vehicle ploughed through bystanders on Tiananmen Square in Beijing and burst into flames, killing three people in the car and two bystanders. Uighur exiles, rights groups and some experts have cast doubt on the official accounts of what China has deemed terror attacks and foreign reporting of the incident has discussed whether it was motivated by punitive ethnic policies. An Islamist militant group has released a speech claiming responsibility for the incident, which China\’s Foreign Ministry said should silence those who are skeptical about the threat of terror within China\’s borders. The Uighurs are culturally closer to ethnic groups across central Asia and Turkey than the Han Chinese who make up the vast majority of China\’s population. via Xinjiang college says approved political views needed to graduate | Reuters.